Did you know 46 million turkeys are eaten in the US on Thanksgiving? Whether you host your own Thanksgiving dinner, head to grandma’s house or hop a flight across the country, Thanksgiving is as much about travel as it is about turkey. Last year, around 50.9 million people in the US traveled 50 miles or more from home to celebrate Thanksgiving - a 3.3% increase over 2016. 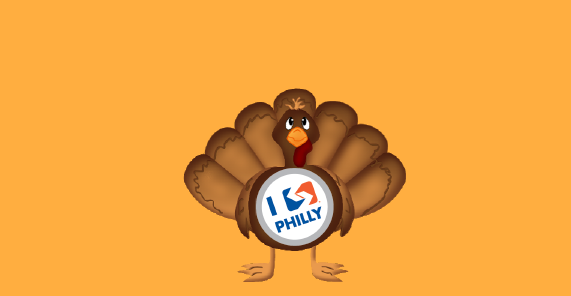 Here in Philadelphia, SEPTA recorded ____________ total trips on Thanksgiving Day (November 23, 2017) - carrying people to and from the 6ABC Dunkin' Donuts Thanksgiving Day Parade, family gatherings, Friendsgivings, and early Black Friday shopping deals. This month's contest is as easy as pie - guess how many total Thanksgiving Day trips SEPTA recorded in 2017. Closest response without going over wins a December Anywhere Monthly TrailPass. Next ten (10) closest answers without going over win a t-shirt. Contest ends Thursday, 11/22. Max five (5) entries per email address. 2. Promotion period runs until 11:59 PM ET, 11/22/18. 10. Winning entries will be selected by SEPTA's Marketing Department. The top eleven (11) qualified, responses without going over the actual number of transit trips will be be selected for prizes. Grand prize is a December Anywhere TrailPass. All determinations by SEPTA are final.